Hi George, Do you teach private lessons? Moe Staiano are composition people who would love to work with you! Feona 1 month 1 week ago. Maria Elena Romanazzi e Raffaella Ronchi 3 months 2 weeks ago. A framed Christmas gift from my wonderful girlfriend. 3 months 3 weeks ago. Nando Lva shared a post to George Crumb's timeline. https://www.facebook.com/137829276783390/posts/318199918746324/ 7 months 3 weeks ago. Any idea whose signatures these are on this George Crumb cd? 7 months 3 weeks ago. In 1971, George Crumb set out to compose a set of piano pieces; the preludes of Debussy and Chopin as well as Well Tempered Klavier of J.S. Bach come to mind as prototypes. What emerged after two years of painstaking distillation, Crumb’s Makrokosmos Vol. 1 & 2 for amplified piano, has proved a worthy heir to its 18th and 19th century analogs. Makrokosmos is a multi-dimensional odyssey through a universe of metaphysical timbres created via a compendium of extended piano techniques. These include the use of metal chains, paper on the strings, wire brush, paper clip, metal thimbles, whistling and Latin incantations. Crumb closes the ‘magic circle of infinity’ with these exceptional works, fusing performer with instrument, music with timbre, primitive with modern, terror with romance, lyricism with violence. 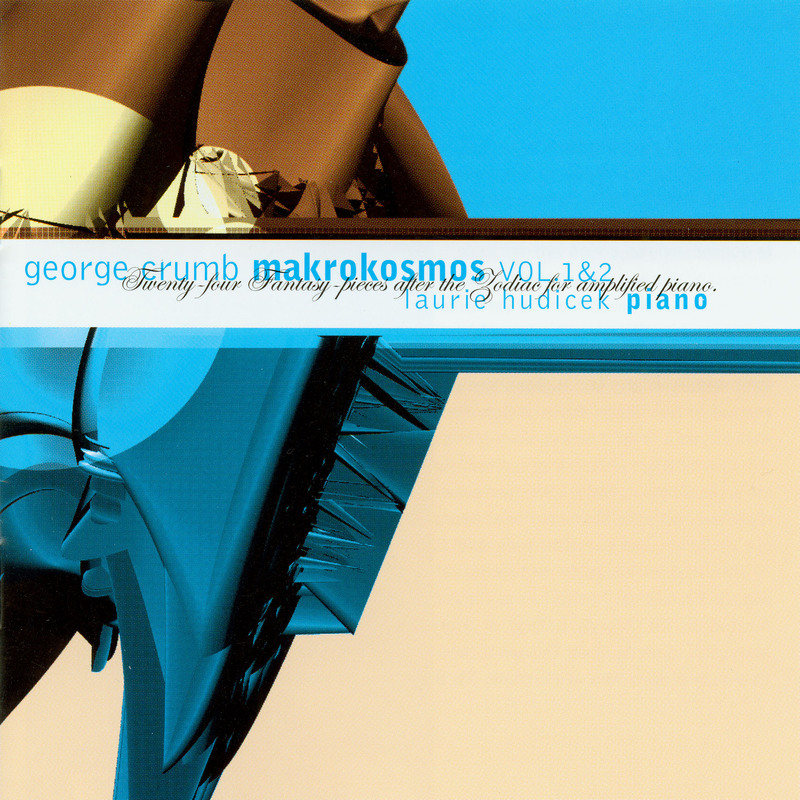 Taking advantage of state-of-the-art digital recording technology, producer Marc Wolf & Engineer Jeremy Tressler have captured George Crumb’s timeless Makrokosmos in stunning detail, clarity and dynamic range, promising to take the listener literally inside the guts of a 9 foot Steinway. If you need to own one version of Makrokosmos, this is the one! Pianist Laurie Hudicek tackles what many consider to be one of the monumental pieces of 20th century repertoire for solo piano. A great recording of a true masterpiece.